The National Aeronautics and Space Administration’s (NASA) Office of Small Business Programs, in conjunction with Clark Atlanta University, is pleased to host "Clark Atlanta University’s Small Business Summit." 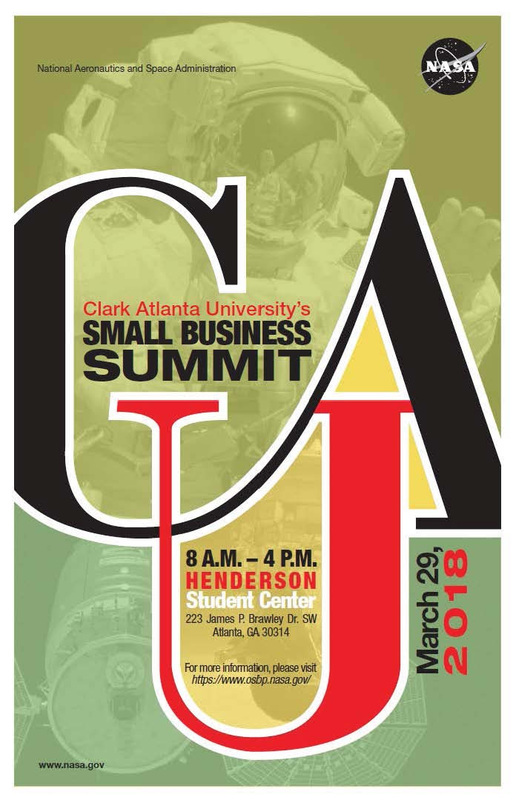 Clark Atlanta University’s Small Business Summit will provide attendees with information on doing business with the NASA Centers, large businesses and government agencies. There is no cost to attend this event and all businesses, universities and institutions are welcome to attend. Attendees will have an opportunity to network with NASA Prime Contractors in throughout the duration of the event.